This article will try to be sharp, like a guide, with all the data you need to know about buying physical gold. 1. 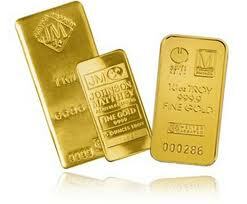 We think of gold as an insurance, not to speculate, so we accept paying a premium. 2. We don´t buy more than 10% of our total assets, but not less than 5%. 3. If something really bad happens, physical gold is the only option, not ETFs, not gold mine stocks. 4. The smaller the piece, the higher the price. The smaller, the easier to transport and sell. Around 100 gr and below is acceptable. 5. It doesn´t matter the shape of the coins or bars. Weight and purity are the only things that matter. Don't get confused with old coins for collectors. 6. In most of the countries, gold is not subject to VAT. 7. In Kitco, you can check out the real-time prices for gold and other precious metals. But how do we buy it? Can we do it anonymously? Where do we store it? In goldmadesimple.com they say: "For purchases below 5000 GBP the sale of gold bars can be completed without providing any form of identification. We do ask for your name and address for the invoice. However, if more than 5000 GBP or more than 10000 in multiple transactions over a 12 month period, then you will be required to provide 2 forms of identification." 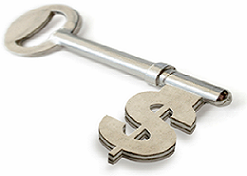 In atsbullion.com, they say: "Payment can be made by small amounts of cash, or by debit card. If you are buying under 5000 GBP worth of gold, we ask that you bring one form of photo ID eith you. If you are purchasing over 5000 GBP of gold in one transaction, or your purchases exceed 10000 in the course of a year, then you have to supply us with proof of ID to comply with HM Customs and Excise legislation." In orodirect.es, they say: "For any purchase of more than 1000 EUR, we will need a copy of passport or National ID." However the Spanish law says the limit to not identify a customer is 3000 EUR (link, Article 4). At Geiger Edelmetalle in Germany you can buy precious metals via their online shop, by telephone or in person. Anonymous over the counter transactions are possible up to a limit of 15000 EUR. It seems this limit is the same in Austria. In France and Belgium, this limit is really low: 3000 EUR. On next articles, we will talk about how much gold you can take with you when you travel, what we think about these programs where they store the gold for you, and a small surprise.